April Fool’s Day is the perfect opportunity to be silly and goofy with your kids. 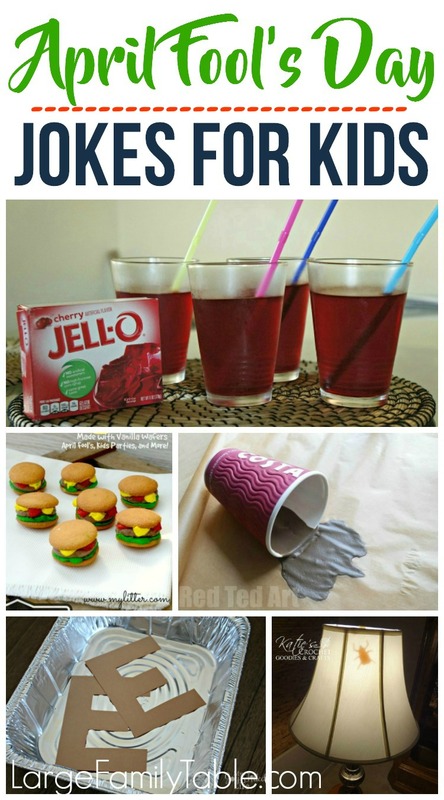 If you are looking for some hilarious, yet harmless, pranks to play on your kids, or for some pranks that your kids can play on their friends or family members, this list of April Fool’s Day Jokes for Kids is sure to give you some good ideas. Your kids will be pretty excited when they open up their can of fruit cocktail at lunch to find it full of candy. I’m pretty sure they will think you are one cool mom (or dad). The ‘ole ketchup and mustard bottle trick where the person in your line of fire thinks they are going to get squirted with red and yellow condiments. But, only a red and yellow strand of yarn comes out. Learn how to make your own trick bottles from this post. This is a tasty trick. These may look like slider burgers from afar, but they are really a sweet treat. I don’t think anyone will be too disappointed if they fall for this trick. This might not be a good joke to play on someone that really has a fear of bugs, so choose your ‘victim’ wisely when pulling this prank. Trick your family into thinking you are serving them a yummy pan of brownies, when what they are really getting are browns E’s. This chicken and bean meal looks pretty real, but you’ll soon find out upon your first bite that it is dessert rather than dinner! Put googly eyes on everything in your fridge, cupboard, or pantry. When your kids go to get breakfast in the morning, everything will be staring at them! If you know someone who usually has cereal for breakfast, freeze a bowl of their cereal (with milk) the night before and serve it up to them in the morning. Cover the sensor on the television remote with a small piece of tape and sit back and watch as one of your family members struggles to get the television to turn on. 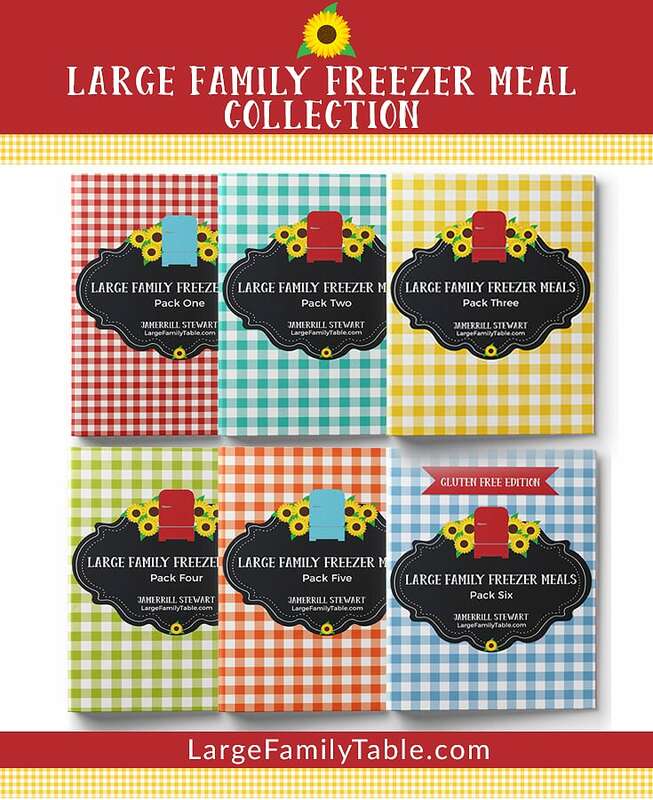 Your family member or friend will think they are plunging their hand into a big ‘ole bowl of popcorn, only to get denied by the saran wrap you covered the bowl with. Have cupcakes for dinner and mashed potatoes for dessert with this cute idea. Or is it the other way around? Put some bubble wrap under a doormat, bathmat, throw rug, or area rug and wait until someone comes strolling in. This is a good one for kids to play on parents. What parent wouldn’t freak out to find nail polished spilled on the carpet? Jelly Bean Joke from What’s Cooking with Kids? If you have an ice dispenser in the door of your freezer, this would be a fun joke to play on your kids. It would be a nice surprise to get a glass full of jelly beans instead of ice. Unless you are super thirsty. With this clever trick, your child will think they are going to take a big swig of juice, but what they will really get is a whole lot of nothing, because it’s Jell-o! This joke might not be for everyone. But let me tell you, this stuff looks pretty darn real! Strategically place balloons on the back of a door and tacks on the wall so that when someone opens the door, they will be in for a loud surprise. Confuse your family’s taste buds when you serve a meatloaf made out of rice krispies, fries made out of apple slices, and cupcakes out of meatloaf. Have a little fun with your kids by switching out their candy with vegetables! This is a classic joke. And this post will tell you how to make it. 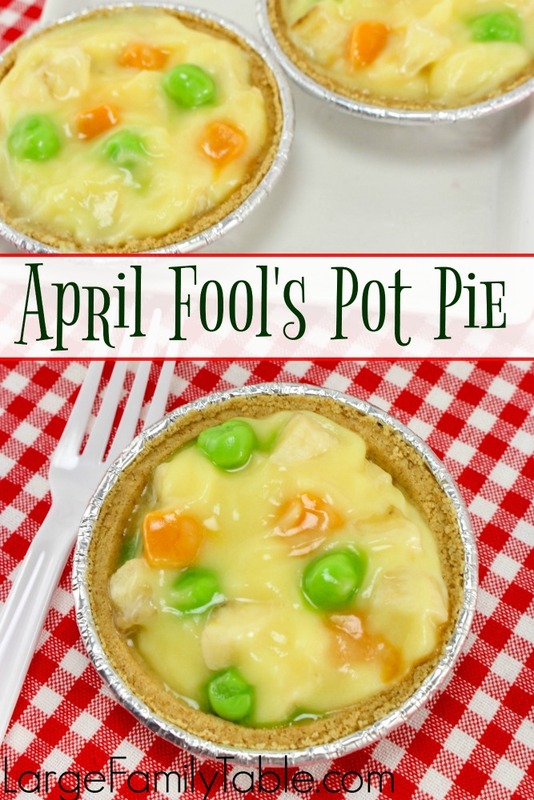 And for extra fun, if you’re looking for a silly April Fool’s Day Recipe for Kids check out this realistic looking April Fool’s Pot Pie! Don’t miss the April Fool’s Day Jokes for Kids board on Pinterest! The brown E’s is definitely happening at my house. I don’t know if I can wait that long. Thanks for the fun ideas. I thought that one looked like a lot of fun!! I had a friend who did this a couple of years ago and her kids still talk about it. It’s so funny.